People always ask me which AC EMF meters they should buy in their budget - so here it is, a detailed analysis and comparison of many common AC EMF meters available, and the pros and cons (in my opinion) of each meter. Note that this article assumes that you have read and understood the "EMF Explained" page. If you have any more questions about these meters, please feel free to e-mail me at info@ghostgadgets.com, as I have either used or own most all of them. Approximate peak sensitivity frequencies, measurement styles, and special features for common AC EMF meters are listed in the table below. Note that the estimated Peak Sensitivity Frequencies in the table above were what I measured using a signal generator, and they could vary from meter to meter. *Note: Click on the meter name to be taken to the supplier's ordering page. ELF Zone ($13) - The ELF Zone is the most inexpensive AC EMF meter available, and you really get what you pay for here! It has two LED's that light when the field strength exceeds 2.5 and 8 mG, and this is really all this meter does. If you're looking for a very cheap way to do quick home surveys in which you just want to know whether you're being exposed to over 2.5 mG fields it may be useful, but for anything else, it would be worth saving for a better meter. ElectroSensor ($25) - This meter is a very inexpensive solution if you are looking for low resolution AC EM field strength readings. It will measure from 1.5 to 30 mG, on a 10 LED bargraph style readout. This meter is especially useful if you are monitoring an area with video equipment - use a rubber band to hold down the "ON" button, and stand the meter up in front of the camera. Any transient EM fields will be easily visible on the video because of the LED readout. This meter is recommended for use in front of video cameras, but not for use as a handheld meter. GaussMaster ($35) - For an inexpensive handheld meter, I would recommend the GaussMaster. It has an audible tone whose pitch gets higher as the AC EMF field strength goes up, and has an analog readout, selectable between 0-1 mG and 1-10 mG. The analog readout gives it a little more resolution than the above meters, and its frequency response is very broad. Essentially, its frequency response extends to about 20 kHz, which makes it useful for measuring a wide range of frequencies. Because of its higher peak sensitivity frequency, it is important to note that this meter is frequency weighted, so field strength readings outside the 50/60 Hz range won't be very accurate. CellSensor ($45) - This meter wouldn't be my first choice for a handheld meter, but because it can measure RF fields as well, it might be useful to some people. This meter has a light and "bong" sound corresponding to the field strength, but I prefer the GaussMaster's tone output. But, for an inexpensive meter that will not only measure ELF AC EMF fields, but also RF fields, this meter would serve you well. Multidetector II Profi ($100) - This is a VERY multipurpose meter, that I would recommend to anyone. It will measure not only AC EM fields, but Electric fields as well, both on a LED bargraph. The meter also has frequency bandpass filters - allowing you to select which frequency range you want to measure in (LP = 5-500 Hz, HP = 500-400,000 Hz) for both Electric and AC EMF. Also, this meter has a very broad reading range - you can measure AC EM fields up to 100 mG, and Electric fields up to 1,000 V/m. The only drawback is that it is only a one axis meter, and there are only 11 LED's, which means lower resolution (but sensitivity switches help keep resolution up). As described for the ElectroSensor, the Profi could be used stationary in front of a video camera, or also works great as a handheld meter. TriField ($130) - This is a great meter for those of you looking for a multipurpose three axis AC EMF meter. It is the most inexpensive thee axis meter I could find, of course you sacrifice resolution for price - the display is a simple analog needle. Since this is a psuedo-RMS device, it is only accurate for sine waves, which coudl be a problem in the field where you don't really know what you're measuring. This meter will measure not only AC EM fields, but also Electric and RF/Microwave fields as well, on an analog scale. Maximum measurable fields are 100 mG for AC EMF, 1,000 V/m for Electric fields, and 1 mW/cm^2 for RF/Microwave fields. Other than the possible desire for a digital readout (which is achieved by the MT-263 meter), I couldn't find any drawbacks to this meter. By default, this meter is sold as a frequency-weighted meter, but for the same price, a non-frequency weighted version is also available here. TriField Natural ($180) - This is a VERY unique meter, as it does not measure the same EM frequencies as the other meters on this page. Most meters measure EM fields from about 20 hertz to several kHz, but this meter is actually designed to zero out the surrounding static (0 hertz) field, and measure any minute changes within that field (in both electric and magnetic fields). Because the meter needs to zero out the surrounding field, it MUST be used in a stationary position (if you're holding the meter, then the surrounding field is always changing, and the meter won't be able to stabilize). Some people report that they can walk with the meter - but they're missing the entire point of having this meter, and essentially all of their readings will be wrong. It also has a SUM setting, that will combine any changes in electric or magnetic fields into one reading - but I don't recommend using it, because if the meter goes off, you don't know which field really changed, and what good is that in research? The TriField Natural is calibrated at 2 hertz, and will measure changes all the way down to lim(x->0)x hertz (basically, anything *slightly* above 0 hertz, but not 0 hertz). Be careful on the electric field or SUM setting, because your body will easily distorts/create its own electric field that will set the meter off. On the magnetic setting, basically just find a good spot for the meter, set it down, and leave it. Once the reading settles to 0, you can adjust the "tone" knob until it starts sounding, then roll back on the knob just a little bit until it stops (that way, any small field change will be accompanied by an audible tone). On the magnetic setting, as long as you don't move the meter, or get any magnetized objects near it, it should stay fairly stable (meaning, your body alone won't set it off). Another important thing to note about this meter is that it is NOT a three axis meter, as many seem to believe, it is a one axis meter (the axis of sensitivity is along the length of the meter). The TriField Natural Meter will also measure RF/Microwave fields directly (the antenna sensor is located at the top/head of the unit). Magnii MT-263 ($269) - The MT-263 is cheaper than other digital 3 axis meters, and has a lot more features. This is a three axis digital gaussmeter, with a BACKLIGHT and a wide frequency range of about 30 to 5000 Hz (though we've found the low frequency response to be better, down to 15-20 Hz). You can select ANY axis to measure, or just look at the 3 axis True RMS reading. True RMS is important, because other meters (Trifield, UHS, etc) are psuedo RMS, meaning they're only accurate when measuring perfect sine waves (rarely found in non-lab conditions). The cool blue variable brightness backlight is a nice touch and indispensable to a paranormal researcher. Peak Axis feature tells you which axis (X,Y,Z) has the highest field strength - could come in handy for locating field sources. Many other features - auto-ranging, max hold, selectable units, etc... Order one from LessEMF.com or read more about it at Magnii.com. UHS Meter ($279) - The UHS three-axis AC EMF meter from AlphaLab, Inc. Manually select measurement range of 20 mG, 200 mG, and 2,000 mG. It also has different frequency settings - from 13 to 1,000 hertz, and from 1 kHz to 75 kHz, or a combination of both frequency ranges. Since this is a psuedo-RMS device, it is only accurate for sine waves, which coudl be a problem in the field where you don't really know what you're measuring. Given the choice, the MT-263 has more features and is True-RMS, and a backlight for cheaper. Magnii DSP-523 ($319) - The DSP-523 should be in EVERY investigators toolkit, as it can IGNORE POWER LINE FIELDS! This is the first digital gaussmeter to accurately notch power line noise (50 or 60Hz and harmonics), letting you see the total field strength as well as the field strength with power line fields removed. This isn't like the Trifield Natural, which only responds to low frequency changes, it has a full bandwidth of 30 to 300 Hz! I accurately measured a 40Hz signal in the presence of 100 mG power line field background noise, and it filtered it out, leaving me with just the 40Hz field strength! No other meter can do this! You can also change the filtering options to do harmonic analysis to see how "clean" power line noise is. Variable blue backlight is equally cool, this meter will allow you to know FOR SURE whether that EMF field is man-made or not. Many other features - auto-ranging, max hold, selectable units, etc... Order one from LessEMF.com or read more about it at Magnii.com. 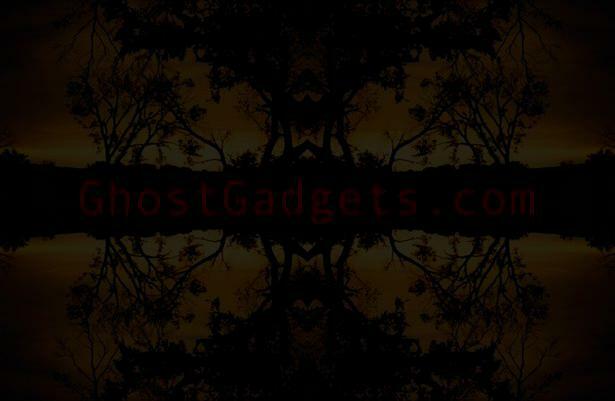 Hopefully this should help you select which meter is best suited for your needs - if you have any more questions e-mail me at info@ghostgadgets.com.